G&P AEG's simply ooze quality, from their high speed motors, 8mm race bearinged gear boxes through to their metal hop chambers. 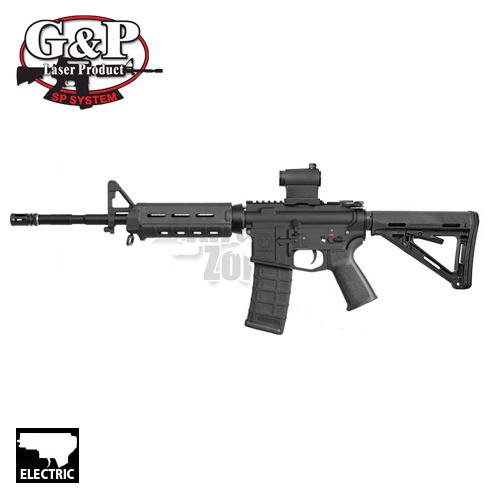 Externally they are full metal (many with correct engraved trade marks) therefore among the most realistic airsoft rifles on the market. 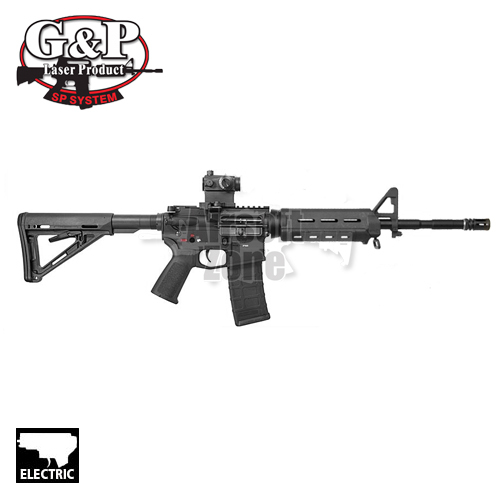 This particular model is highly suited to CQB/urban skirmish enviroments due to its short over all length and light weight. Please note that rails can be added to the front end to attach lights and foregrips ect. Also being in the M4/M16 family of rifles a multitude of upgrade/custom parts are available to create a weapon perfectly suited to your needs. For advice on custom projects, please feel free to give us a call or even better pop into our show room to disscus your needs.